People working together to improve fish and wildlife habitat in Auburn Ravine and Raccoon Creek. Auburn Ravine flows westward 34 miles from the foothills around the City of Auburn through the City of Lincoln and on out to the Sacramento River near Verona. Click on map below for full PDF plus details. 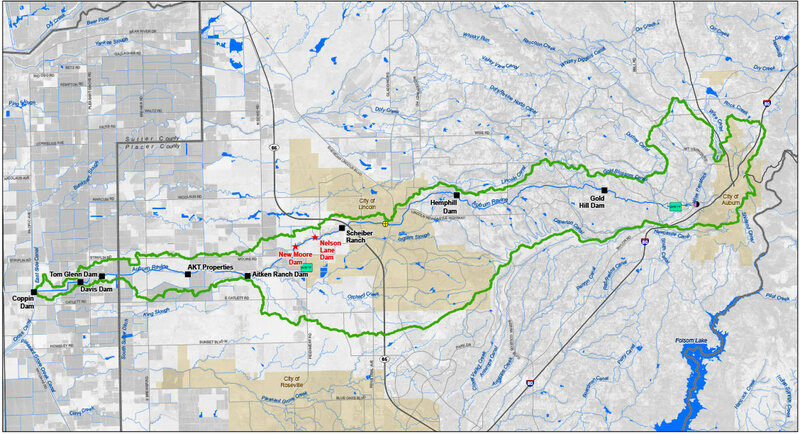 Map courtesy of California Department of Water Resources (DWR). We send a maximum of one email per month. Friends of Auburn Ravine is a registered California non-profit corporation.